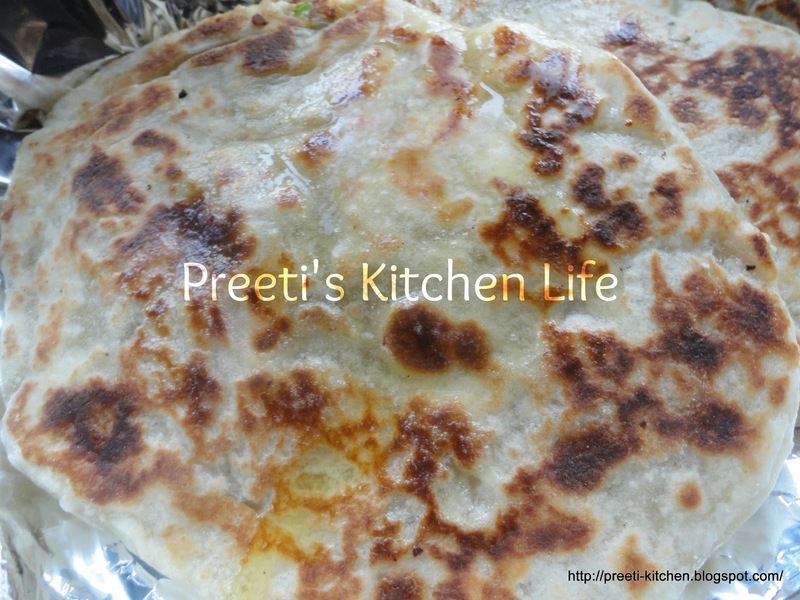 Cooking Challenge, Srivalli chose Punjabi Speciality i.e Stuffed Kulcha. stuffing, one with onion and second with paneer or cottage cheese. more crispy taste, you can add chopped onion. Combine all the ingredients into one bowl and mix well. dough like chapati slowly with the help of rolling pin. Heat the non-stick tawa on the medium flame. 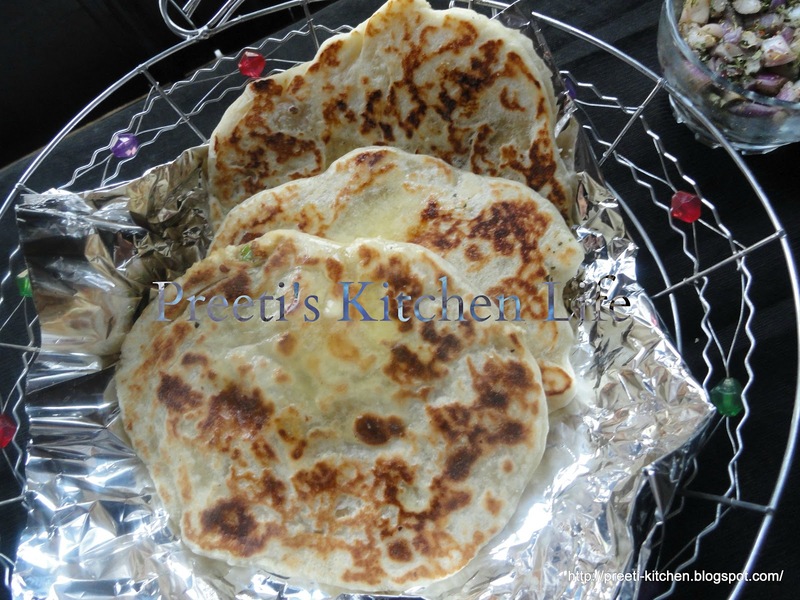 U have done prefectly..yummy kulchas. Kulcha is my fav. You have perfectly done..
Love kulchas and yours look very tempting! 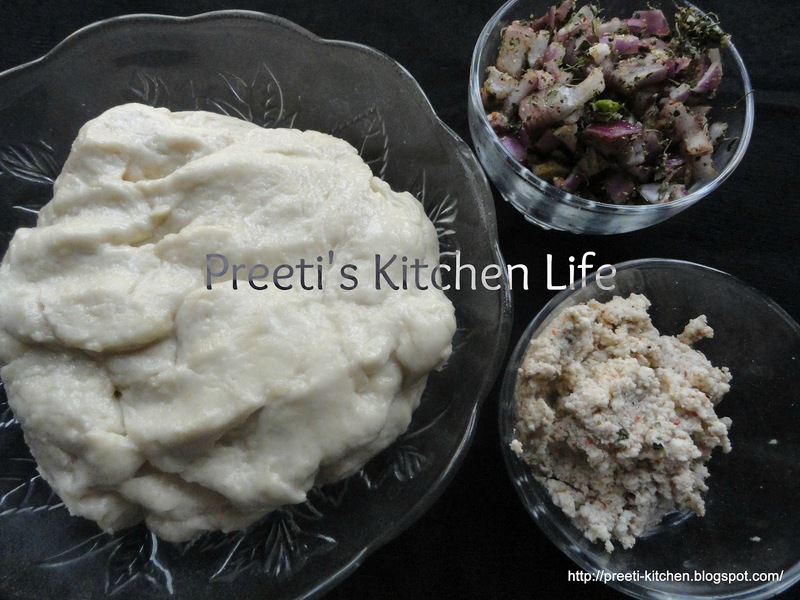 Looks very good Preeti..glad you joined in..
Looks good Preeti…its been a long time I've seen your post. Glad to see them. Good one. Thanks Preeti!!! The recipe is awesome, I tryd it today and my family relished it. its yummy…. thnk you. 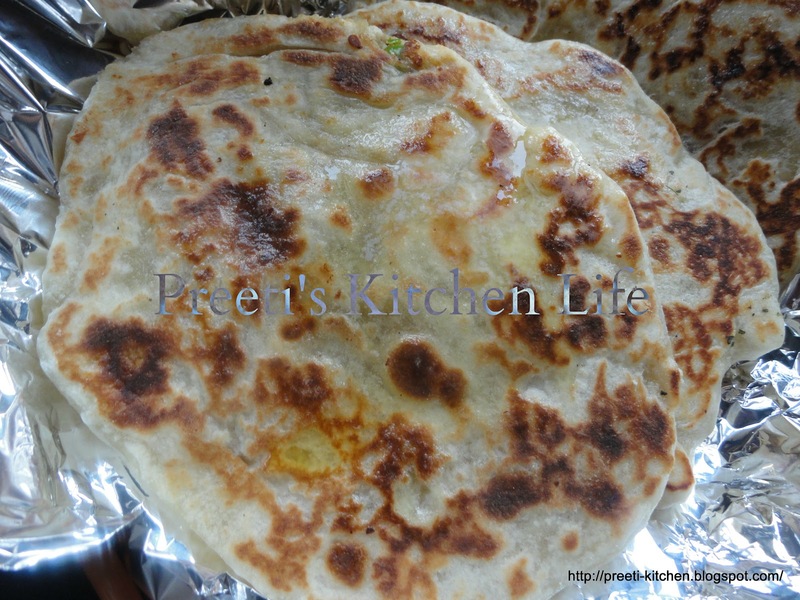 Stuffed Kulchas recipe is a variety taste and simple homemade recipe. It is healthy recipe. Different taste of Bread Chivda recipe is a popular recipe and cooking process is easily.